Visit Rising Above The Noise and download “The Lucky Brand” free. 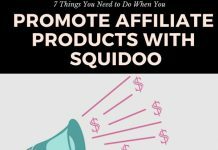 How to get more brand for your buck! David Brier is a 27-year veteran design and branding specialist who has received over 300 industry awards for his design, brand and package design solutions for a wide range of clients. As an alumni of the renowned School of Visual Arts in New York City, his work, and the work of DBD International, can be seen in retail, non-profit and business-to-business applications helping those organizations outshine and out-elevate their competition. Among DBD’s client list are Big Dot of Happiness, Estée Lauder, Feldman Mall Properties, cellist Eugene Friesen, Jim Henson Associates, Loehmann’s, Mabel Tainter Center for the Arts, New York City Ballet, National Cooperative Grocers Association, New York Times Sunday Magazine, Revlon, Rolling Stone magazine, Tower Realty Trust and Wells Fargo among others. 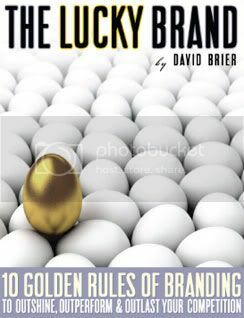 I just completed writing “The Lucky Brand: 10 Golden Rules of Branding to Outshine, Outperform and Outlast Your Competition” simply because, everyone today can use some help. You can request your own free copy. But first, here are some facts you should know. Each year, 26,000 new products find their way into the marketplace. It was noted recently that as many as 50 million tweets were posted in a single day. Recently, Google reported 293 million searches had been conducted in a single 24-hour period. Yet another report stated that a new blog is started every half second. So the compeition to gain attention is at all time high and has never been stiffer. Have you ever noticed certain brands and thought, “HOW do they do that?” They just nail it time after time, not merely a one-shot wonder, but BAM! Time after time. It just seems they have a golden touch, an endless supply of luck. Well, there is “luck” and there’s doing the right (i.e., effective) things that bring about the right results. If the steps you take are not the effective ones, you can work hard all day long and all you’d have to show for it would be more perspiration and a furrowed brow. 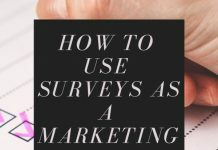 But as you’re probably among those who wish to market more effectively, let’s look deeper. The challenge we have as communicators is considerable: especially if the company is losing sales because it does not have top-of-mind presence when the customer is ready to buy. OK, so more information is transmitted in a single day than used to be relayed in a year. The bigger problem is few if any of us have any gauge to determine the relative value of each bit of info (e.g., which are important, meaningful, useful, effective, and proven—and which are trivial and a waste of time?). How to be noticed at all? How to be thought of when it’s time for your customer to buy? There is no value simply to having read something. In this age of information overload, use of information is what separates the professional from the wannabe. So before you download your copy and read a single word, I must insist on one thing: Decide to use something in this report. At least one single item. You can always add to the list of tools you use, but at least start by using one and build from there. So, if you don’t plan on using The Lucky Brand to improve your business and help your colleagues, you might as well stop right here. Pass this to someone who will use it. Its power is in its use, not in merely having read it. Here’s to a better gravity-defying world, starting with you. Click the arrows and watch the slideshow at your own pace.